From 1977 to 1984, Vilma Santos made 55 films, a very productive seven years full of commercial success and several critical accolades. 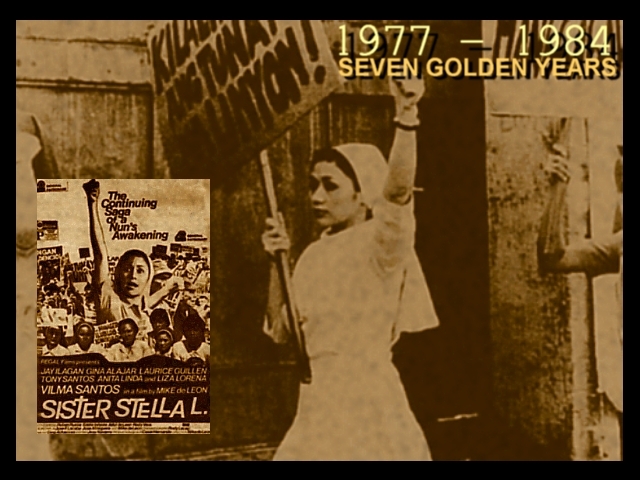 1984 Gawad Urian Best Actress – Sister Stella L.
1984 FAP Best Actress Nomination – Sister Stella L.
1984 PMPC – Star for Movies Best Actress Nomination – Sister Stella L.
1977– six films, highlights: Burlesk Queen and Dalawang Pugad, Isang Ibon signalled her image transformation. 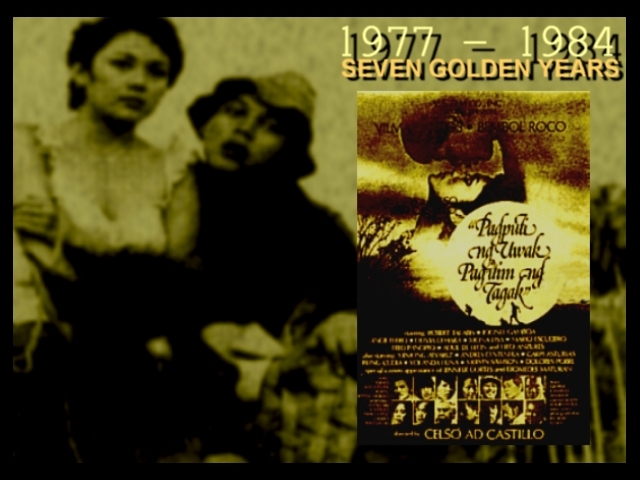 1978– fourteen films, highlights: Lino Brocka’s Rubia Servios and Celso castedillo’s Pagputi ng Uwak, Pag-itim ng Tagak; atleast one film per month; films with Nora Aunor, Ikaw ay Akin, Pinagbuklod ng Pag-ibig and Huwag Hamakin Hostess (Vi in came role). 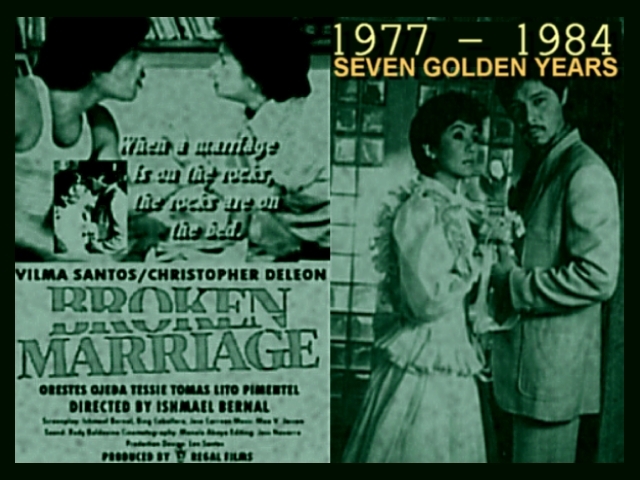 1979– eight films, highlights: movies with fim giants: Dolphy in Buhay Artista, Ngayon; Charito Solis in Modelong Tanso. 1980– nine films, highlights: ressurected her Darna role for the last time; bolder stripper roles in Mrs Jones and Miss X. 1980 Candy Vilma Santos in a cameo role. 1981– four films, highlights: box office hits – Karma and Pakawalan Mo Ako; Karma, an entry to the 1981 Metro Manila Film Festival earned Vilma the festival’s best actress award. 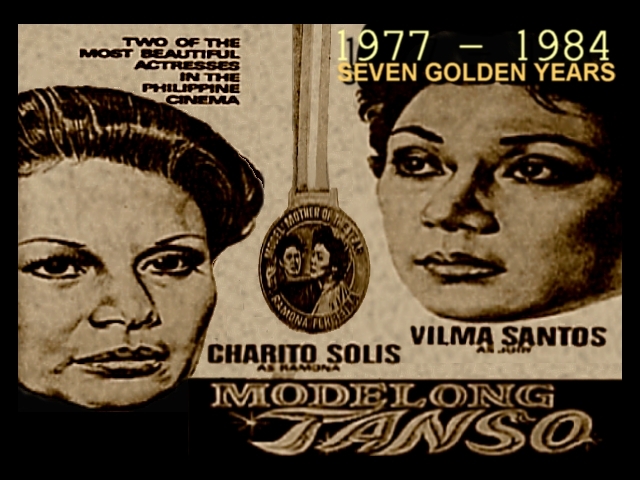 1982– six films, highlights: Record-breaking hits: Gaano Kadalas ang Minsan? and Sinasamba Kita. 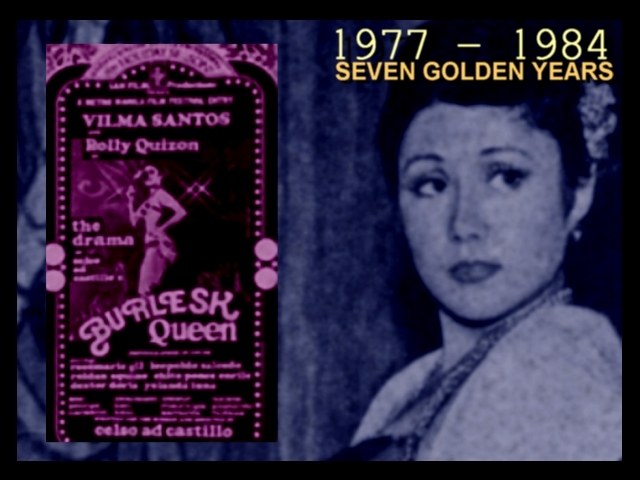 Earned rave reviews for her performance in Relasyon; last year’s Pakawalan Mo Ako earned Vilma her second FAMAS best actress (after Dama De Noche in 1972). 1983 – four films, highlights: box office hits – Minsan Pa Nating Hagkan Ang Nakaraan and Paano Ba Ang Mangarap; received grandslam best actress from previous year’s Relasyon (Winning four best actress from FAMAS, Gawad Urian, CMMA and FAP). 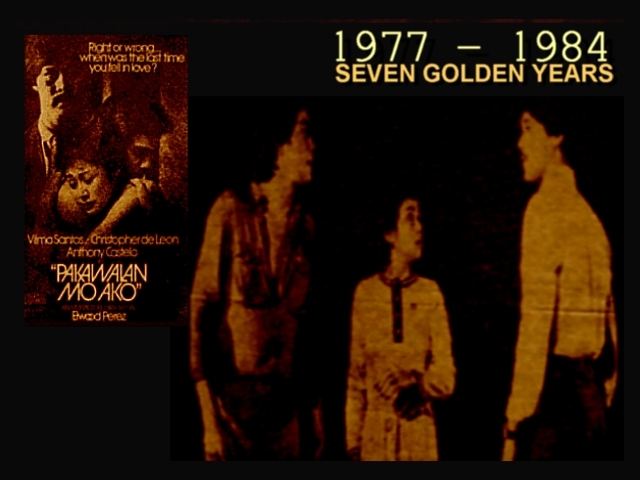 1984– four films, highlights: films with Brocka, Diaz-Abaya, de Leon in one year; received second consecutive Gawad Urian for last year’s Broken Marriage. 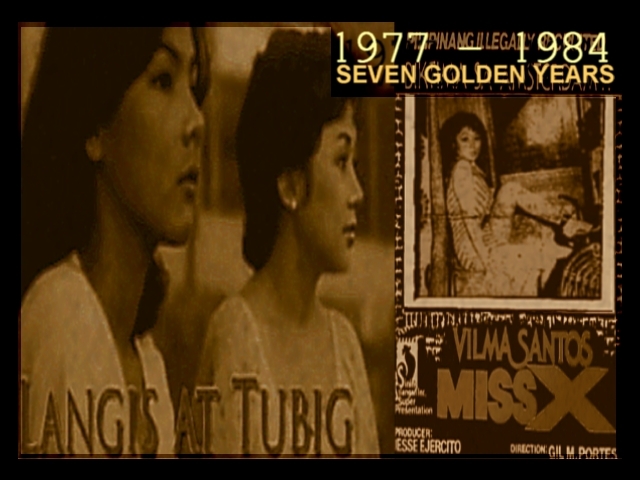 This entry was posted in ACHIEVEMENTS, ARTICLES and tagged ARTICLES, FILMS, Vilma Santos Seven Golden Years 1977 - 1984. Bookmark the permalink.